Thank you to all the folks who volunteered/GM’d with and supported Game-iToba 2018. We couldn’t have done it without you! And especially thank you to all the attendees who came out to play games with us this weekend! Hope we’ll see you next year, November 8, 9, and 10, 2019! 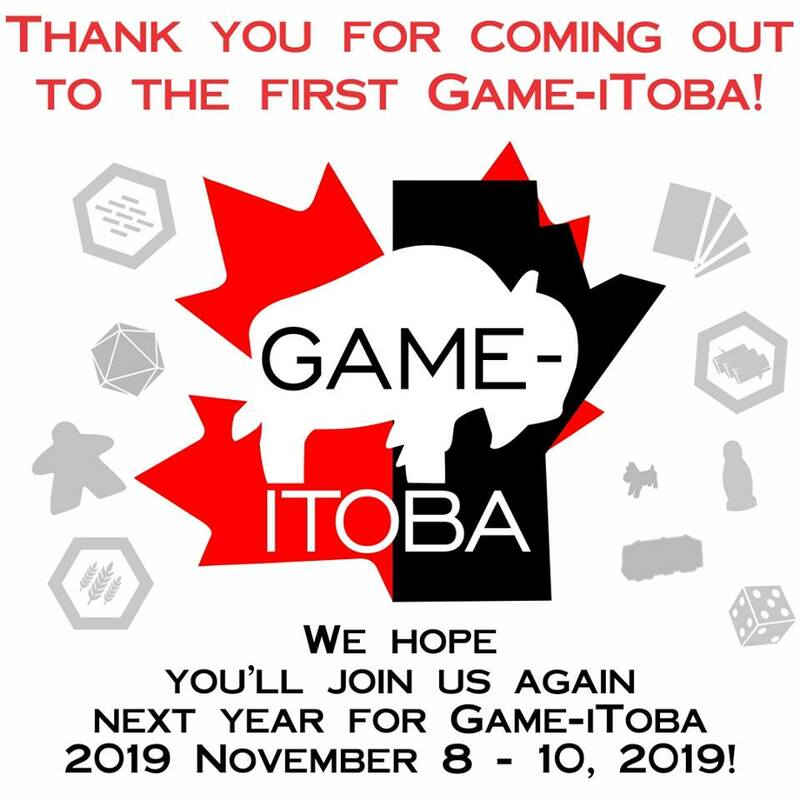 Game-iToba is a non-profit organisation which aims to support the gaming community, game developers, stores, and conventions by providing demonstration services for board games, card games, role-playing games and miniature games. We also seek to partner with groups and organisations in the community to further grow the hobby.